The search is over for the woman who allegedly raised a child for 23 years after she was kidnapped as an infant. Ann Pettway turned herself in to authorities in Bridgeport, Connecticut and is due to appear in court in New York to face kidnapping charges. Pettway is being accused in the kidnapping of Carlina White (pictured above) when she was only 19 days old. White found her birth mother after finding out that she was listed on a missing persons website. She also found it suspicious that her "mother" could not produce a copy of her birth certificate. White was taken from a hospital in Harlem as a newborn after her real mother took her to the doctor for a fever. 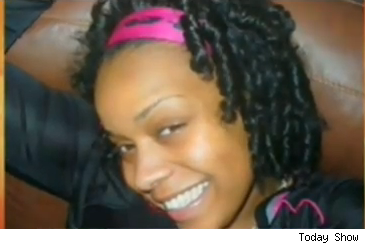 After being kidnapped, she was raised as Nejdra Nance in Bridgeport, Connecticut. White was excited about reuniting with her family back in New York. "I'm so happy," she said. "At the same time, it's a funny feeling because everything's brand new. It's like being born again."